We are providing residential and commercial professional carpet cleaning services. At ApexClean, our goal is to provide you with the best steam cleaning at affordable price throughout the wider Auckland areas. Are you looking for a top quality professional carpet cleaning, upholstery cleaning, mattress cleaning, tile and grout cleaning, stain & odor removal treatments, leather lounge restoration, and carpet and furniture stain protection? Fill-in the quick quote form below for a free quote! HARNESS THE POWER OF STEAM CARPET CLEANING. Steam is natural, it leaves no toxic residues, it kills well known bacteria such as e-coli, listeria, and salmonella. For a Premium Carpet Steam Cleaning, we use a professional soil extractor to remove deep down dirt, dust and allergens to loosen dirt and allergens. Then a non-toxic cleaning solution is applied to carpet fibers with special attention given to problem areas. This will loosen the attached dirt, oil and allergens from the fibers and kill any harmful microorganisms lurking the surface. Finally, we will rinse out with high pressure hot water (60°-110°) depending on the fibre and extract with high power vacuum to remove dirt, pollens, pollutants, dust mites, etc. from your carpet. Carpet, upholstery, rug and mattress are all need to be cleaned and sanitized regularly not only for helthier homes but also for extending the life of your investment. With ApexClean’s Five-step carpet cleaning process you can rest assured that your carpet will be clean, fresh, soft, and free of carpet cleaning detergent residue that other carpet cleaning methods leave behind. This means your carpets will feel soft and stay clean longer. 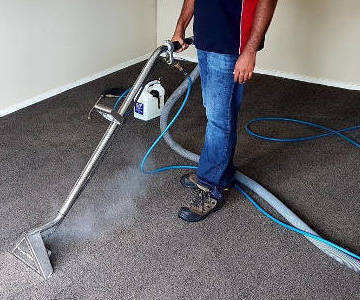 ApexClean Carpet Cleaning Auckland is best rated for it’s professional, affordable and eco-friendly steam carpet cleaning. Our friendly, knowledgeable and professional staff is here to help you with your carpet cleaning needs. For a best carpet cleaning deal, contact us now! 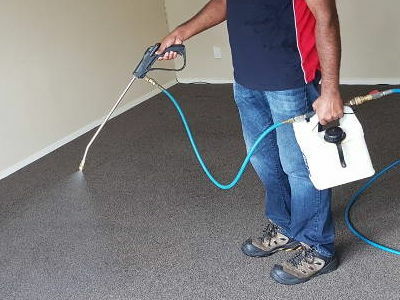 Auckland area professional upholstery cleaning services. Our well trained professionals will properly apply commercial upholstery cleaning machines in order to achieve best upholstery cleaning results for every single client. We clean all upholstery fabrics possible. ApexClean’s cleaning processes get deep into the fibers of your rug or carpet to remove the dirt, allergens and contaminants that the best vacuum cleaners leave behind. Our process will enhance the indoor air quality, the longevity of your rug, and the beauty of your home. With years of experience and some of the best equipment in the industry, we have high rates of success at stain removal. Unfortunately we cannot guarantee we will be able to remove every stain, however we will let you know whether we believe we can get a stain out at our inspection. Our Three Step mattress cleaning allows to achieve the best possibe outcome for your matress. After we finish our professional mattress cleaning service you will sleep easy and safely in your clean, sterilized and deodorized mattress. Fabric and Fibre Protection for your Carpets, Rugs and Upholstery: We highly recommend using this to protect your valuable assets so that you can enjoy it’s beauty for longer. Also you can have greater satisfaction and pace of mind. We apply a stain protection or stain guard, similar to scotch guard, to your rugs, carpets or upholstery. It will act as an unseen protection or barrier protecting the surface. This product won’t alter the colour, texture or feel of the fiber, but it will safeguard it from stains and dirt. This can really help to preserve and extend the life of your carpet and upholstery. Stains won’t be able to penetrate into the carpet fiber and you can clean any potential stains quickly, easily and effectively. Apex Carpet Cleaners offers commercial carpet cleaning services for your office, warehouse, retail store, schools, collages, hospitals, rest homes and production facilities. We understand how important it is for businesses to maintain a clean and fresh working environment. As a leading upholstery and carpet cleaning service provider, we offer you the full array of eco-friendly, non-toxic and safe cleaning services. Leather furniture has been cherished for its luxury, comfort and resilience. As your coveted leather furniture ages, it often becomes even more comfortable and well-loved. Unfortunately, if it is not properly maintained, your leather furnishings will show signs of wear and tear, such as cracks, tears and soiling. The experts at ApexClean can restore, revive and refurbish the look and feel of your leather furnishings so that you may enjoy them for years to come. Are you ready to restore your prized leather furniture? Give us a call today for a Free Upholstery Estimate – it’s Quick, Easy and Obligation-Free! We cover all most all the Auckland areas, including Auckland City, CBD, Albany and Remuera. East Auckland areas such as Panmure, Pakuranga, Half Moon Bay, Mount Wellington, Botany Downs and Dannemora. West Auckland such as New Lynn, Henderson and Waitakere. North Shore such as Albany, East Coast Bays, Birkenhead-Northcote, Glenfield, Davenport and Takapuna. South Auckland areas such as Howick, Dannemora, Botany Downs, Manukau and Pakuranga. To be frank, the industry standard recommendation is that any carpet or upholstery you have at your residential home should be professionally cleaned at least every 12-18 months. If your carpeting gets more frequent foot traffic, if you have pets or child, you should consider cleaning it more frequently, every 3-9 months. Office or commercial space carpeting needs more frequent cleaning, every 3-6 months. This is because carpets can act as a sort of filter and collect all sorts of grime and allergens. So it can act as a breeding ground of nasty microorganisms such as bacteria and fungus. Vacuuming on a regular basis can alleviate the problem but to a limited extent only. Professional cleaning is required for a deeper and more thorough clean and to maintain a satisfactory carpeting or upholstery hygiene. There are mainly 5 methods of carpet cleaning. They are Hot Water Extraction (HWE) Cleaning, Carpet Shampooing, Encapsulation, Bonnet Cleaning and Dry Carpet Cleaning. Hot water extraction cleaning is the most effective cleaning out of all the other cleaning methods. So this method is the most popular one. 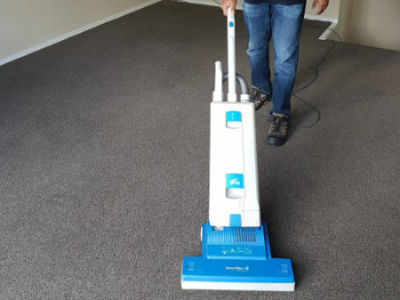 In fact, most of the carpet manufactures and reputed professional carpet cleaning and restoration services suggest HWE method. IS YOUR TECHNICIAN WELL TRAINED? Yes, our technicians are will trained and have years of experience in the field. That won’t be necessary. We do however recommend that you prepare your home before our technician arrives on site and keep it as tidy as you can. In particular, move breakables such as expensive flower vases, paintings, photo frames and lamps to a separate room or to a safe place to avoid accidents. Also move light furniture such as plant stands and low coffee tables to make more room for thorough cleaning. Stow away anything on the floor that may constitute a tripping hazard such as a pair of boots or children’s toys. And if you have a pet, take the necessary precautions to keep it away and safe. Some carpet stains and spots are more difficult to remove than others. In particular hair dye, permanent marker, pet urine and blood require special treatment. But rest assured that ApexClean has an array of effective and professional grade stain removal products and cutting edge equipment to deal with even the toughest stains and worst spills. Do you offer us any guarantee? We are so committed to providing the best quality carpet, upholstery and rug cleaning and restoration services. If you are not satisfied with any of our service (provided your expectations are realistic) we will gladly come back, free of charge, we redo it until we completely meet your satisfaction needs.